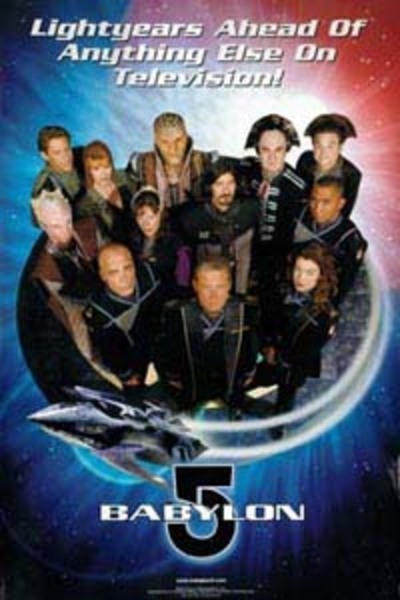 Babylon 5 was science fiction show, which ran from 1994 until 1998. The story revolved around the political intrigue between the many races of the universe, with the primary races being Humans, Minbari, Narn, Centauri, and the Vorlons. Now the show’s original creator, J. Michael Straczynski, is working on a movie reboot. There is no word yet if it will be a feature film, a made-for-TV movie or an intro to a true TV reboot. Where you a fan of the original show? Are you interested in seeing a reboot? Oh yes, big style. I loved this programme - I used to watch it with my Dad. Susan Ivanova was my hero, and my Dad always said her sarcastic humour reminded him of me. The Battlestar Galactica reboot was awesome - but its original series was much less modern and gritty than Babylon 5, which addressed some really serious themes. So, although I'd like one, I'm not sure what the reboot could do differently to make it better. I never watched Babylon 5, but the success of a reboot would depend on what root it went down. I'm not keen on prequels or when the characters are recast. For me, reboots either have to follow on from the original, with the same cast or be a spin-off with new characters based in the same world. Apparently the series creator is hoping to have some of the same cast, if not all of them. That would be great. The only issue in that case would be the amount of time that has past. I would almost certainly mean that the series could not take off right where it left off, but have a real time passage. I agree, and assuming they made another series (not just a film) then I think the passage of time would allow for some really cool flashback or new history type stuff that could be really interesting. I loved Babylon 5 back in the 90s. I was really sad when it got cancelled, so I'm excited to see it return in any capacity.